A group of friends. A yacht. And a disappearance-at-sea that turns paradise into a chilling nightmare. Lana and her best friend Kitty leave home looking for freedom—and that’s exactly what they find when they are invited onto The Blue, a fifty-foot yacht making its way from the Philippines to New Zealand. The crew is made up of a group of young travellers bitten by wanderlust, and it doesn’t take long for Lana and Kitty’s dream of sea-bound romance to turn into reality.Both women fall under the hypnotic spell of The Blue, spending their days exploring remote islands and their rum-filled nights relaxing on deck beneath the stars. But when one of their friends disappears overboard after an argument with another crewmember, the dark secrets that brought each of them aboard start to unravel.At turns gorgeously scenic and entirely haunting, The Blue is a page-turning thriller about friendship, freedom and wanting to leave the past behind. Oh. My. Gosh! Okay, I am still reeling from this book and I finished it a week ago! Lately, I've been having some serious Wanderlust so when I had the opportunity to review The Blue I jumped on it! For the first little while, I lived vicariously through Lana and Kitty. 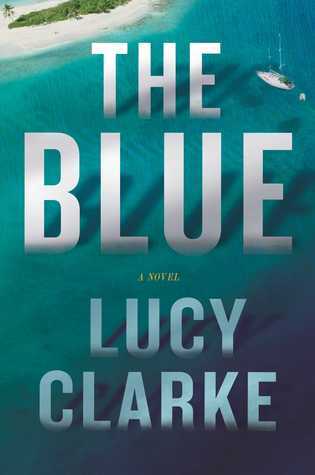 I mean, the were doing the very thing I was itching to do, and Lucy Clarke makes it feel as if you are right in that beautiful, sea blue magic with them. However, my envy came to a halt as the suspense began to fold. Lucy Clarke epic delivery of the storyline kept you on the edge of your seat the ENTIRE time. Trust me when I say, you will not be able to put this book down! You'll say to yourself: 'Just one more chapter" only to devour many more because you simply cannot peel your eyes away. I also loved the dual storyline! Sometimes they can get sloppy or confusing but that was not the case for The Blue. Lucy Clarke nailed that! The Blue will captivate you! It is the perfect book to lose the Summer hours away on the beach or porch while sipping a nice cold drink! Thank you Lucy Clarke for another nail-biting, page-turning gem! I cannot wait to lose myself in your next book!